Omi Gibson isn't called the queen of Metal Gear cosplay for nothing. It's because, you know, she is. 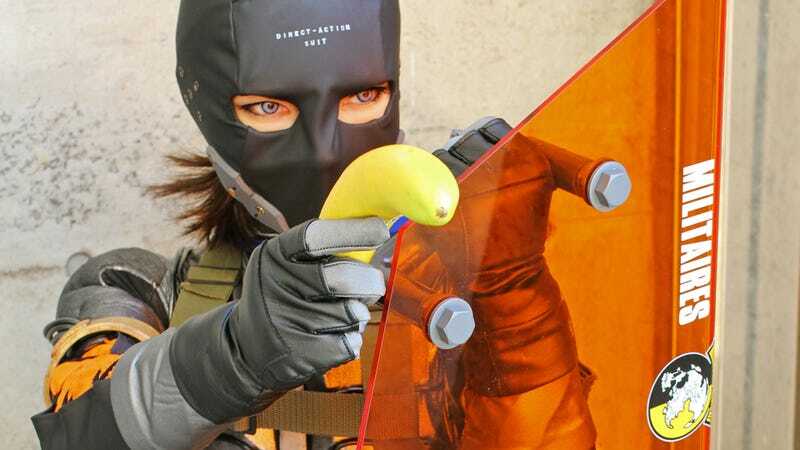 Check out her latest effort from Metal Gear Solid: Peace Walker, complete with Direct-Action Suit and banana. The costume work on display is, per usual, amazing. Check out more pics the gallery above.